Unsolicited, unwanted advertising email, commonly known as “spam,” has become a big problem. It’s reached such proportions that most email services and Internet Service Providers (ISPs) have put some sort of blocking or filtering system in place or begun relying on self-proclaimed blacklists to tell the good guys from the bad. We applaud their intention to protect you from spam, but everyone agrees that the current systems for stopping spam are far from a perfect solution. They too often block email that you’ve requested, but that fits somebody’s idea of what spam looks like. As it happens, there’s something you can do to keep the emails you value from falling into the false positive trap. You can fight the blacklists with a “whitelist.” Whitelist every new subscription right at the start, before your delivery is interrupted. Of course, every email system is different. Below are instructions for some of the more popular ones, including Gmail, Yahoo, Hotmail and AOL. If yours isn’t here, please contact your ISP’s customer service department for their instructions. One thing you can do no matter what email system you’re using is add the address in the “From” line of the Energy & Resources Digest e-letter to your address book. This address is Issues@EnergyAndResourcesDigest.com. Log in to Gmail and click the dropdown arrow in the search box. In the From Field, type Issues@EnergyAndResourcesDigest.com and then click Create filter with this search>>. Click Never send it to Spam and then click Create Filter. You’re all done! You will now receive your Energy & Resources Digest issues with no disruption. Thank you for whitelisting us. At the top of any Energy & Resources Digest email, next to our “From” Address, click on the image on the right that says Add to Contacts. You will be taken to the Address Book page. Simply click on the button at the bottom that says Save. In the upper righthand corner of your mail window, click on Options. In the dropdown, select More Options. Click on Safe and Blocked Senders. Enter Issues@EnergyAndResourcesDigest.com in the space provided and click Add to List. To ensure you continue to get your emails from Energy & Resources Digest, please add our email address to your AOL Address Book. AOL has made it easier than ever to do this… Here’s how in 3 easy steps. Log in to AOL Web Mail and on the right side look for, and click on, the Contacts Icon. Click the green plus sign that says Add Contact. 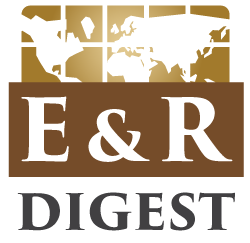 Enter Issues@EnergyAndResourcesDigest.com into the email field. Then click Add Contact. You do not need to change the first name, last name or phone fields. Many popular email programs, including older versions of Outlook, Outlook Express, Eudora and Netscape Mail, don’t provide a convenient way for you to whitelist the folks you want to receive emails from. If you’re using this sort of email system and you either aren’t getting email you value or want to make sure you continue to receive it in the future, you can do something about it. Sending Address: If your ISP asks for the “sender” or “from” address, give them the address Issues@EnergyAndResourcesDigest.com. Domain: If your ISP needs to know the domain Energy & Resources Digest is mailing from, try forwarding them one of our emails. The domain is in the “header” of every email. If that doesn’t work, you’ll have to contact the publisher to ask them what domain they’re sending from. There might be more than one, especially if you have multiple subscriptions. IP Address: If your ISP asks for the sending IP address, try forwarding them one of our emails. The “originating IP” is in the “header” of every email. If that doesn’t work, you’ll have to contact us to ask what IP address we’re sending from.